Very Andy Warhol. I like the acid colors and the modeling on the land formation. 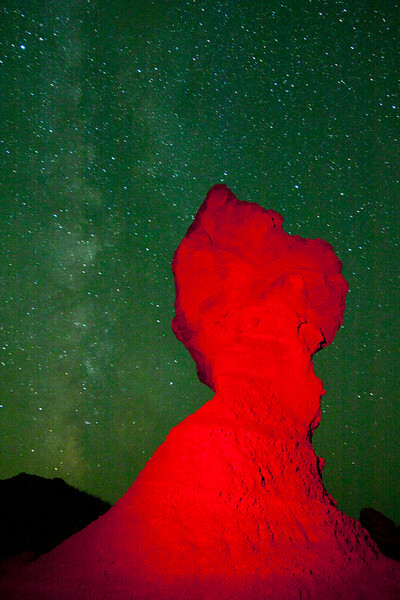 Manual, shadow on upper left of rock, don't use a vignette, stars have traveled to far shorten time of exposure, neat work here.